Take refuge from the nastiest weather! 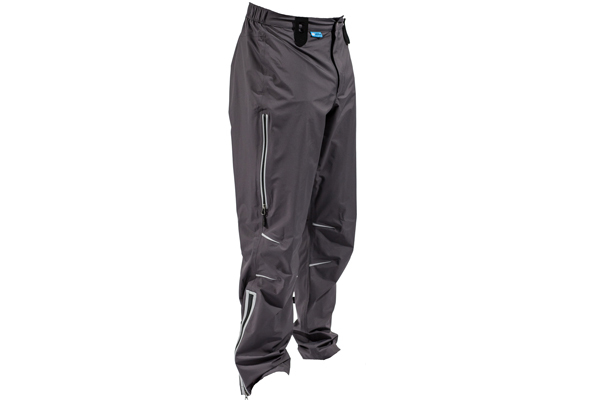 Made with our highest performing Elite waterproof breathable fabric the Refuge Pant will keep you comfortable, whether you are on long distance touring trip, or grueling commute. Unzip thigh vents for quick cooling on steep climbs. Plenty of reflective trim keeps you visible from all angles, while a reinforced seat stands up to centuries in the saddle. Bottom line, these are high performance rain pants. We prefer to repair defective items whenever possible. We dont think you want your jacket in a landfill either. We know you dont want to be without your Showers Pass gear, so we do our best to turn exchanges and repairs around as quickly as possible. Please be patient, though during peak seasons it can take up to 3 weeks. We might not be able to update you on the status of your transaction until your return has been processed and entered into our system. This does not mean we have forgotten about you. If youre not sure whether something qualifies for coverage under our Warranty or Satisfaction Guarantee policies, give us a call (503.203.8000) or email (warranty@showerspass.com (link sends e-mail)). Our goal is always to find a win-win solution.